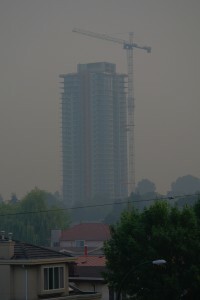 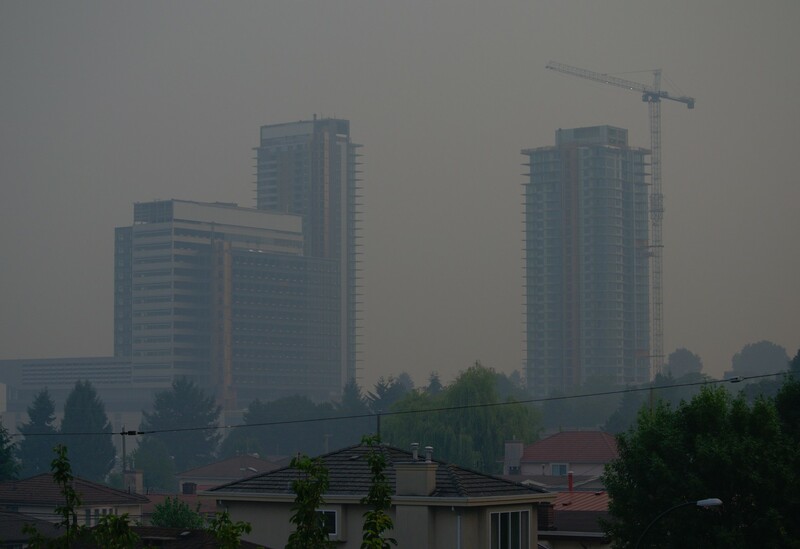 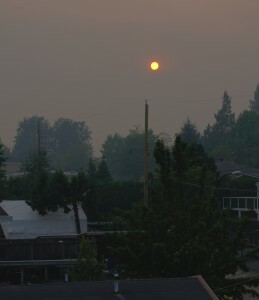 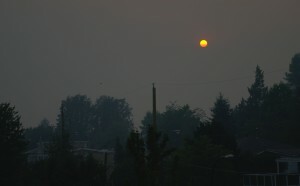 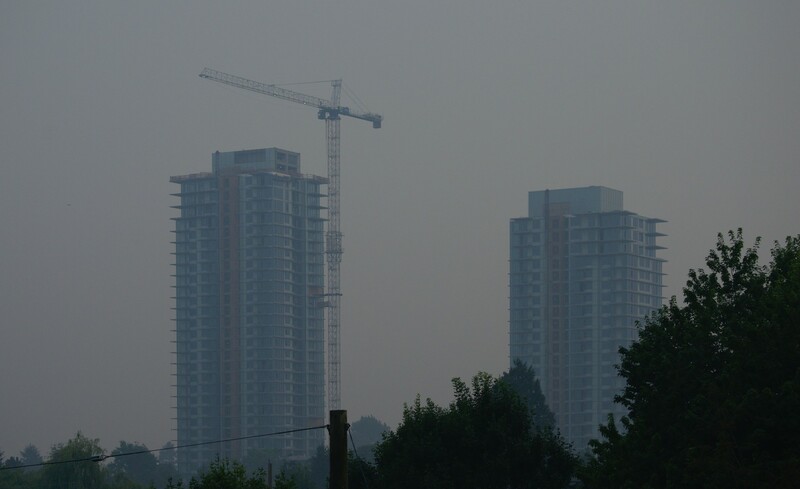 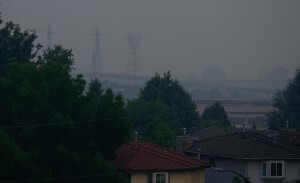 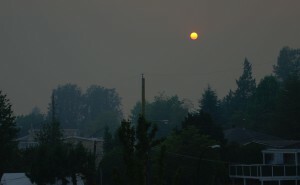 We had a smoky day in Vancouver. 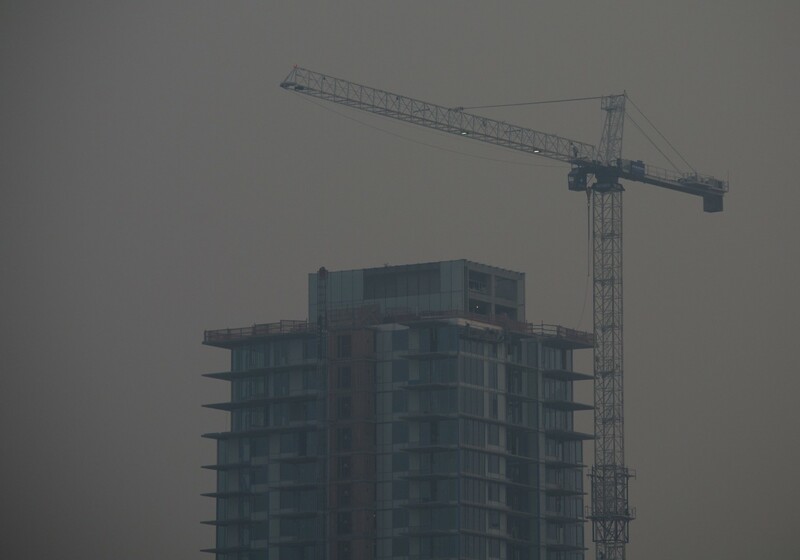 Which is to say, we had a relatively clear day for Beijing. 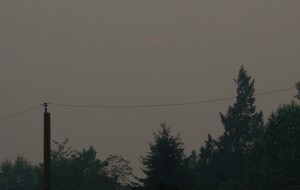 This is the first time in my memory when our coastal rainforest has been dry enough that we’ve had real forest fires in our vicinity. 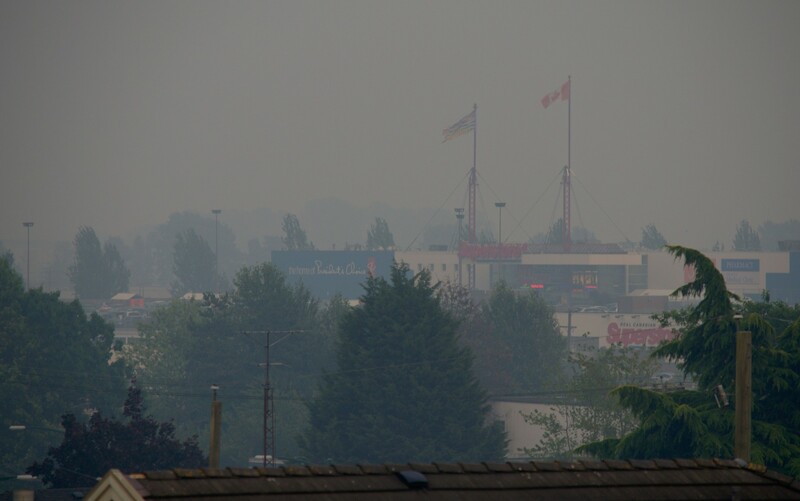 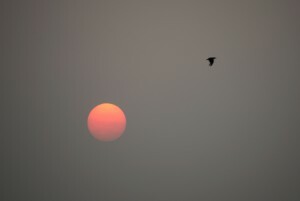 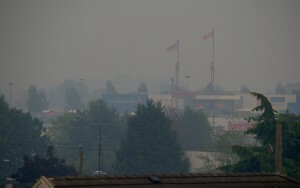 Fires are burning near Sechelt and Pemberton, and the smoke has blanketed the city in a haze worthy of a Chinese industrial city. 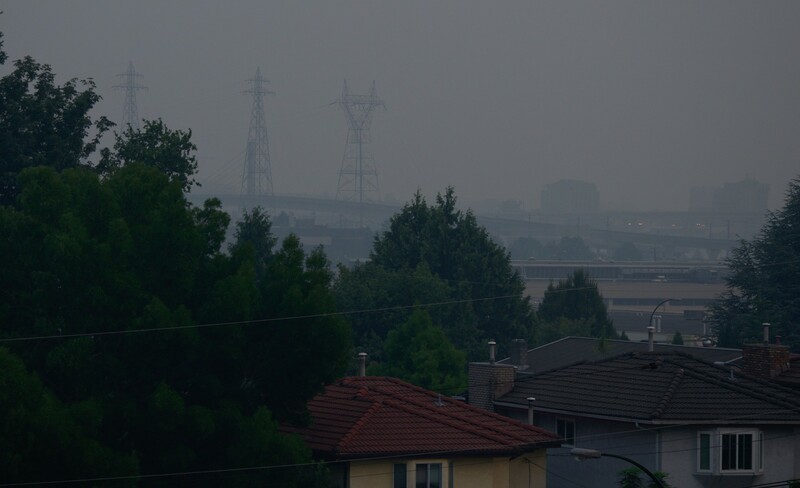 But ours smells better — like the entire city decided to have a campfire together. It’s the smell of burning forest. 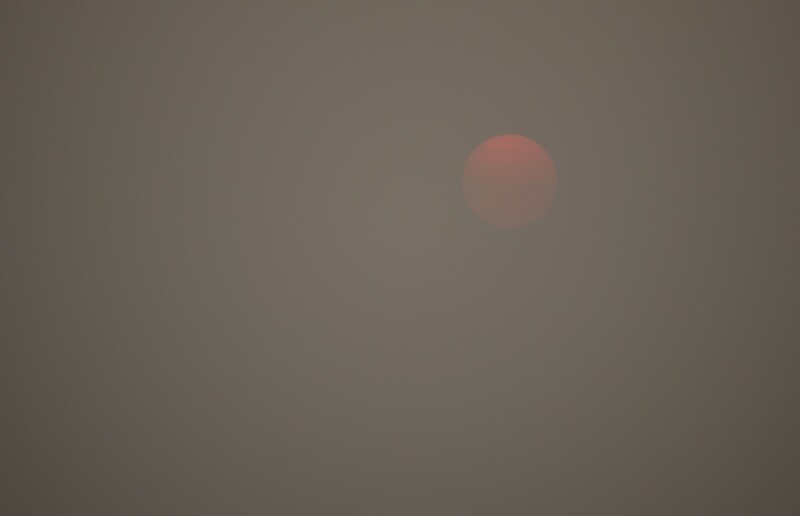 Coming home, I noticed that I could look directly at the sun without squinting. It looks like the moon: A clear disc, tinted various shades of yellow and orange. 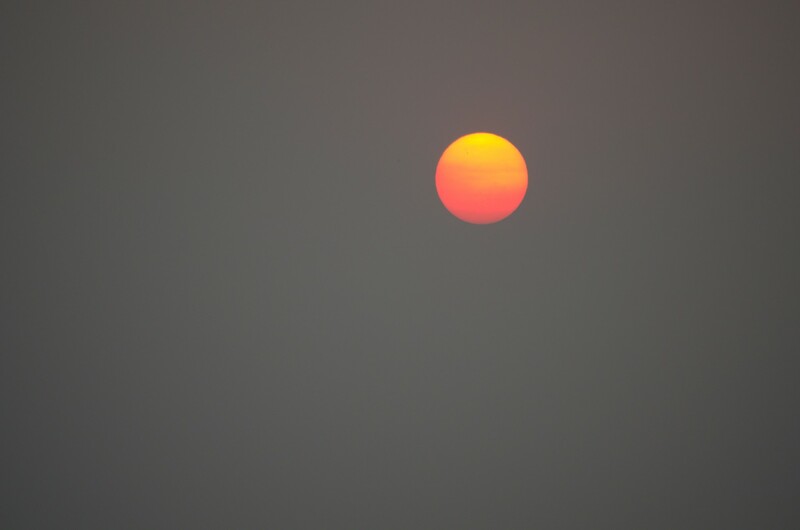 How often do you get a chance to photograph the sun directly? 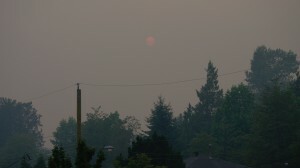 Who wants to play baseball with the sun?Who wants to play baseball with the sun? 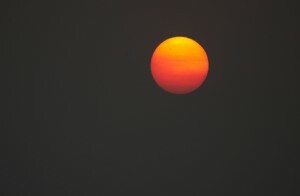 The Day the Sun Refused to Shine by Devonavar is licensed under a Creative Commons Attribution-NonCommercial-ShareAlike 4.0 International License. 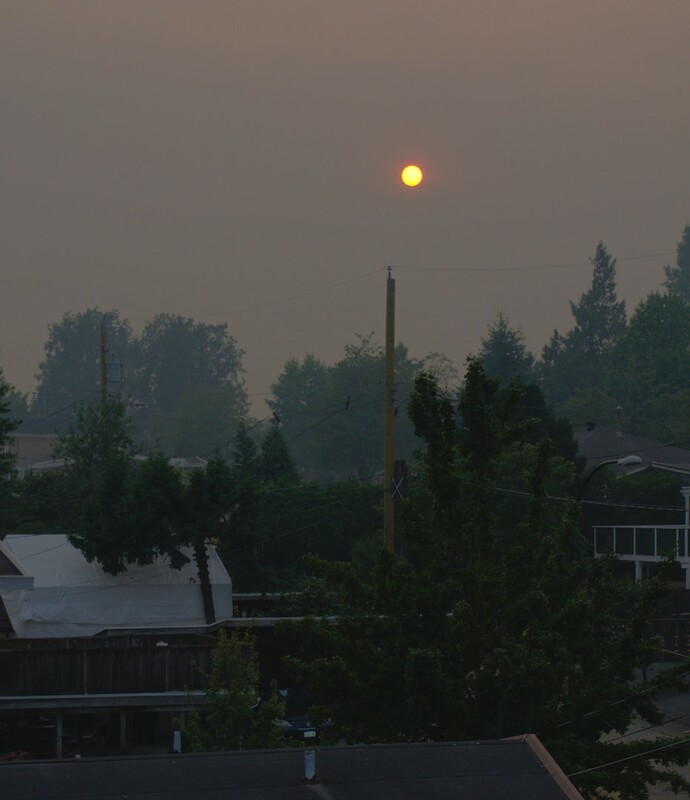 This entry was posted in Film & Media, Photography, Photoshoots and tagged Apocalypse, Forest Fire, Smoke, Smokocalype, Vancouver by Devonavar. Bookmark the permalink.